MODEL NCH35 - MOST POPULAR! 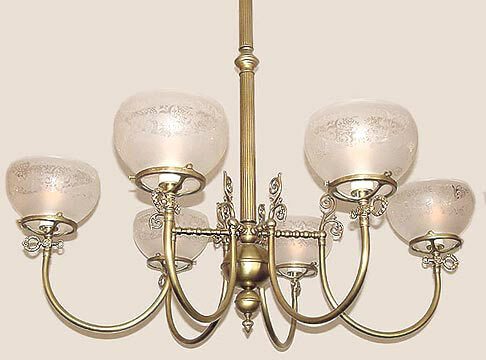 This lovely Oval Victorian chandelier is just right for your formal dining room. Reeded tubing is an added embellishment. Realistic gas keys add period accuracy. A perfect match our NCH34 smaller 3 arm version.